“Water” is the motif that more artist use it. So, am I. My creative style is doing the composition of some motif, like a collage. I choice the motif about “Sakutei (Japanese/ Meen: Making of the garden)”, and drawing&Print. I use Mimeograph as me the print method. It can’t be printed large works, so, In case of large works, I print small pieces on big paper, like collage. Maybe, I think that Mimeograph creative style fit me. Before anything else, it’s important to understand how my creative style consideration “Sakutei”. This is a premise. There are some elements for the composition of the garden. “Wood” “water” and “Stone”. There are decided for long ago (by the “Sakutei-ki/Old Japanese garden creative method”). Actually, I create visual from those elements. I think that there is a human intervention for the existence of “Niwa(Japanese /Meen: Japanese garden)”. So, “Niwa” is artifacts. Anyway, I think about “Create like a collage” and “Sakutei” however, they are not the purpose. The purpose I would like to draw is the one behind these as a filter, so, It is “person” as a phantom. 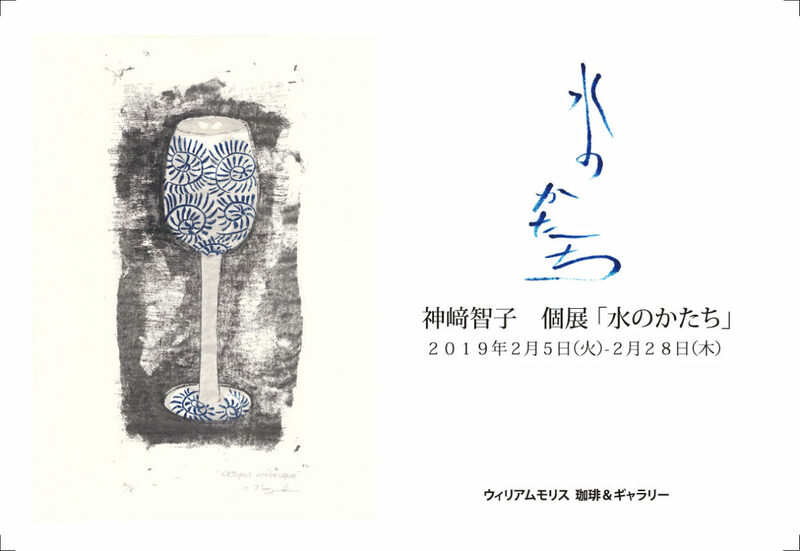 I present “water” motif works to this exhibition. I think that I need concept “person as the phantom” to create “Water” element works. so, I choice motif “Utsuwa(Japanese/ Meen: cup)” as the shaping thing of the water by the person. And, In the past work, there was also a drawing using an artificial straight line as a representation of water. It will be an exhibition of mixed old and new works. I would be happy if you see my “Mizu-no-Katachi(Japanese/ Meen: Shape of water)”.